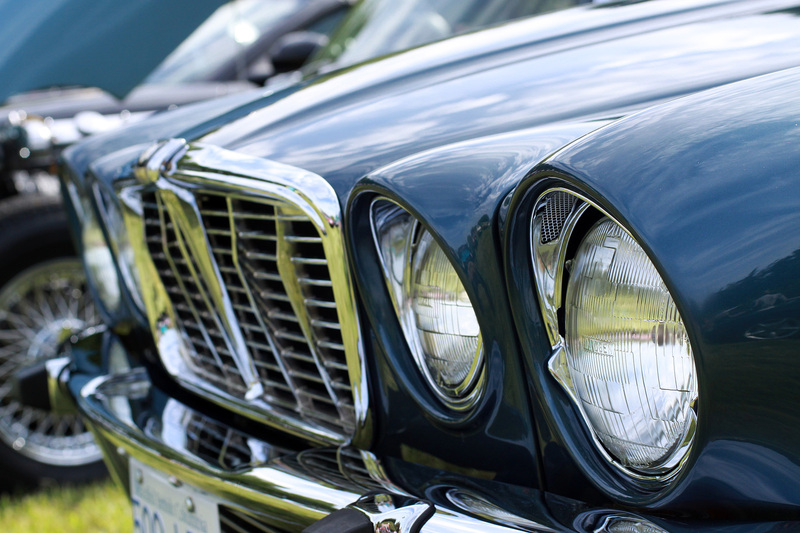 In 1962 you could have walked into the dealership a driven away with either the MKII 3.8 or an early E-Type 3.8. 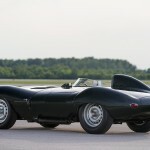 The quantum leap in style that came with the E-Type had Ferrari worried and they immediately transformed their aerodynamic brick that was the 250 SWB into the legendary 250 GTO. 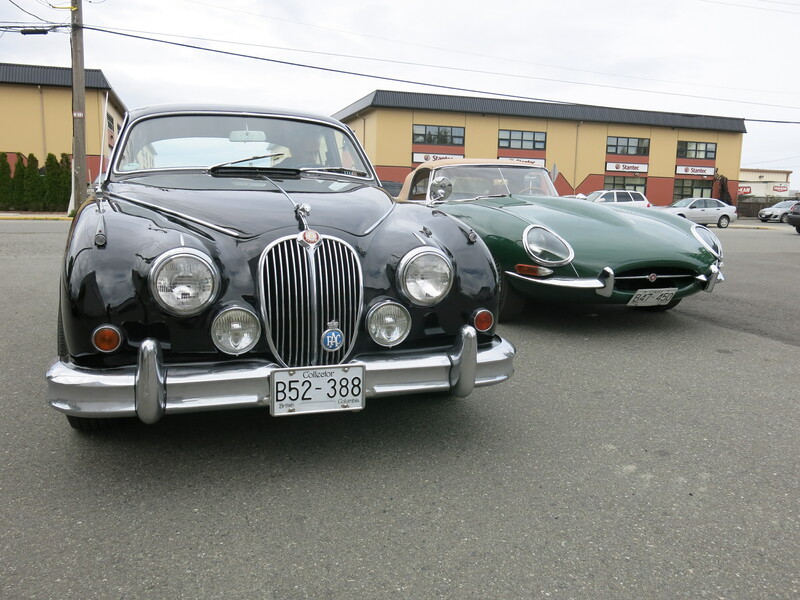 Here are two awesome examples from the local area. 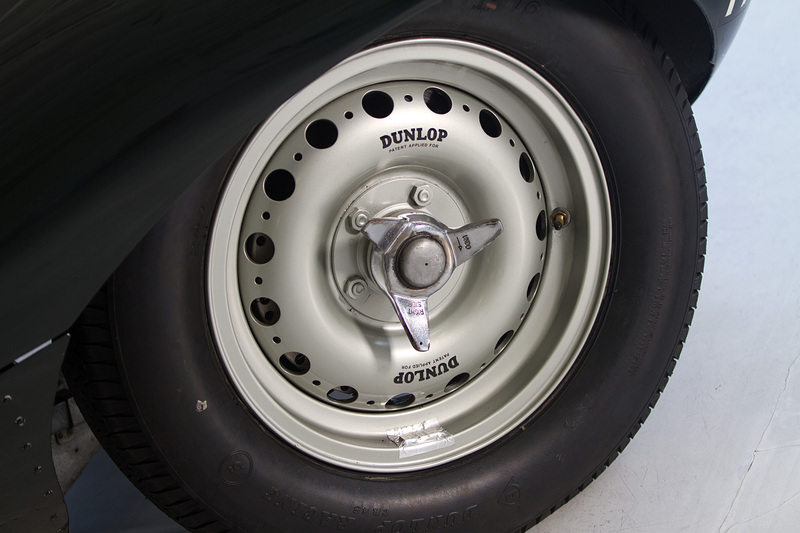 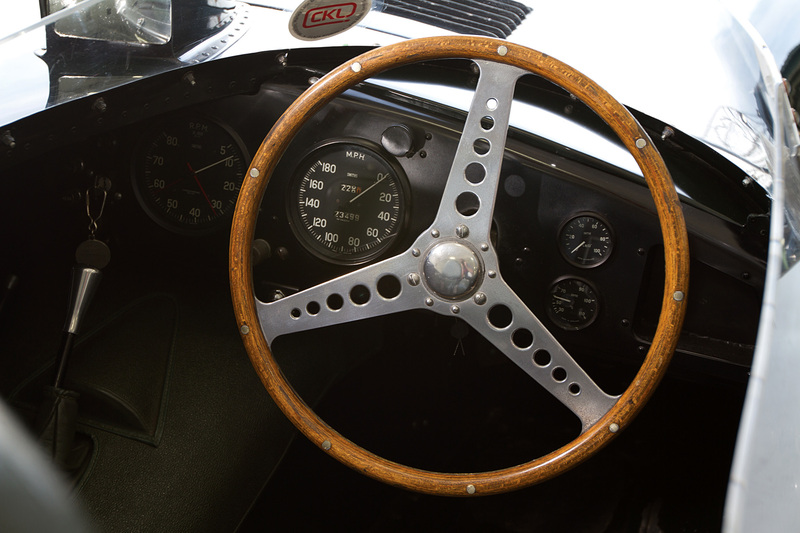 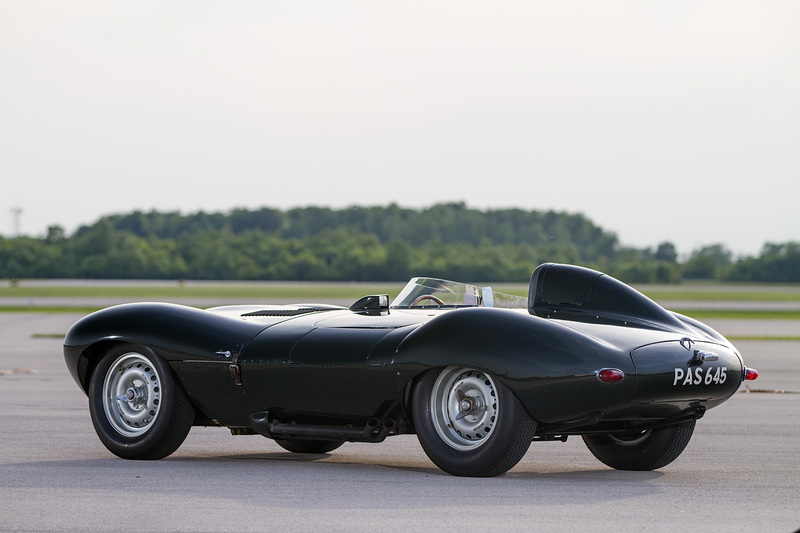 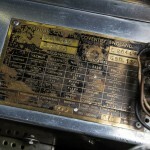 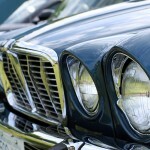 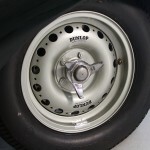 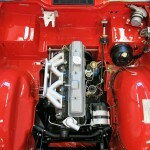 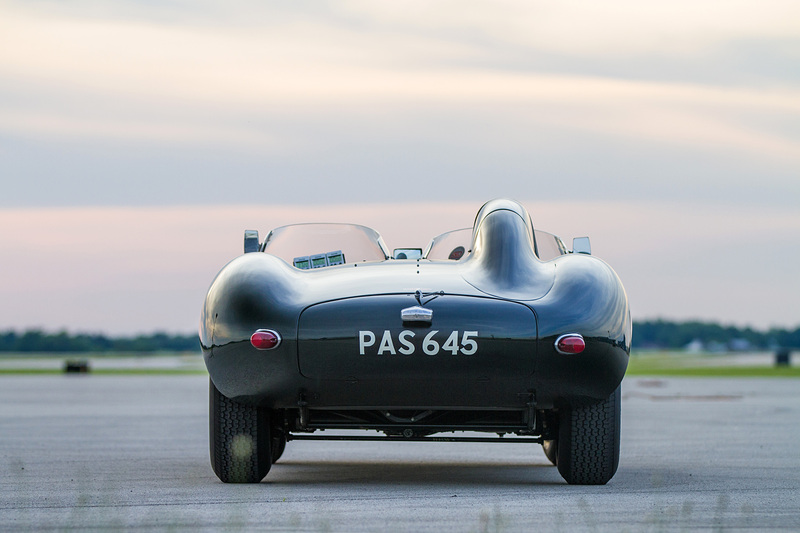 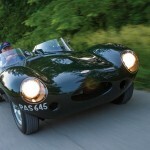 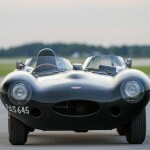 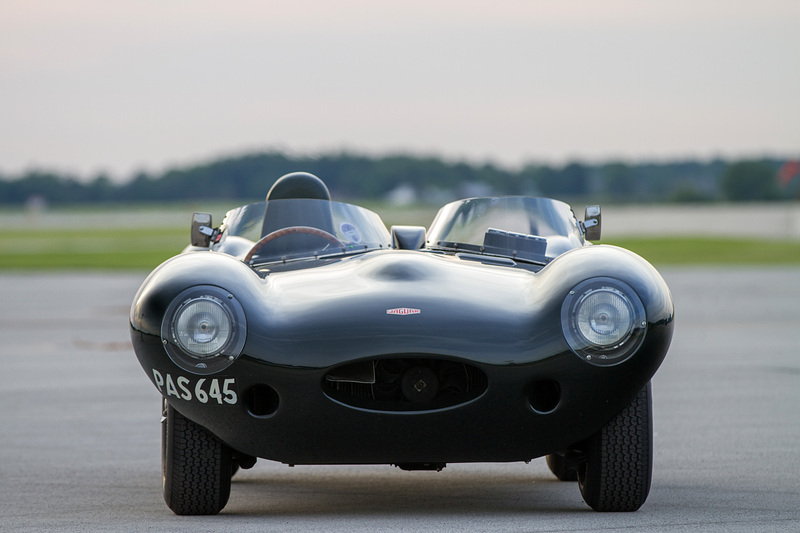 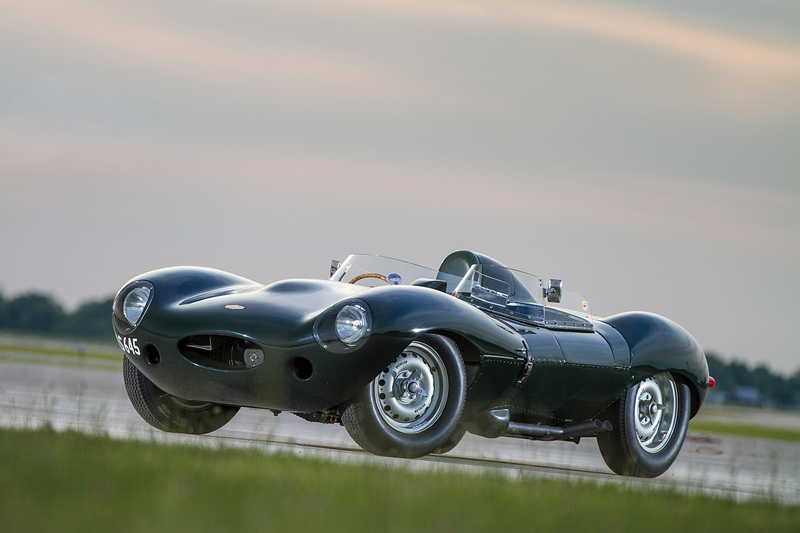 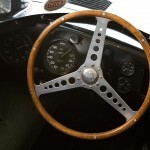 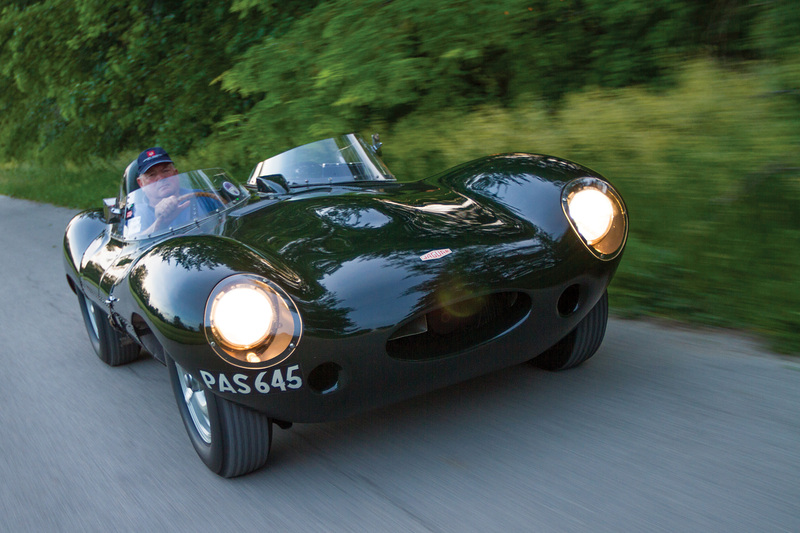 The E-type was originally listed at $5,595 and the MKII at $5,045. 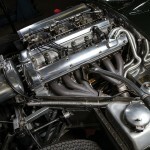 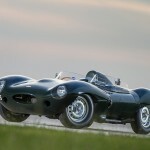 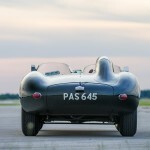 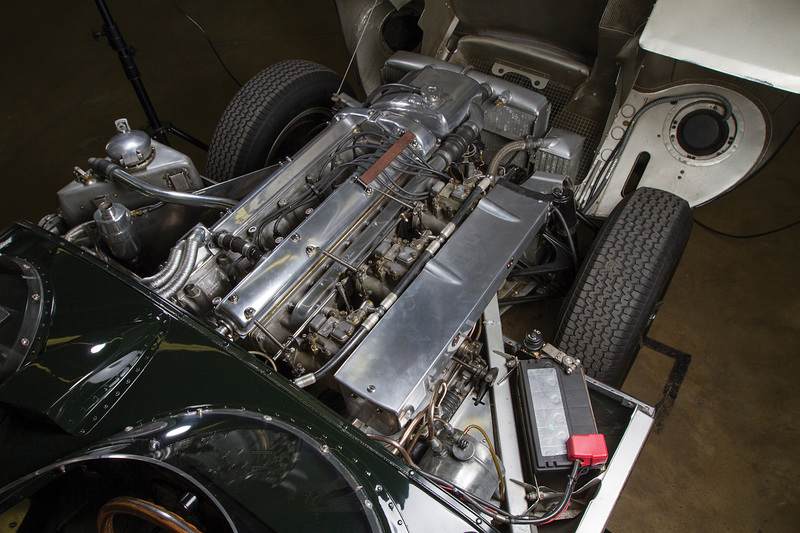 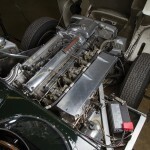 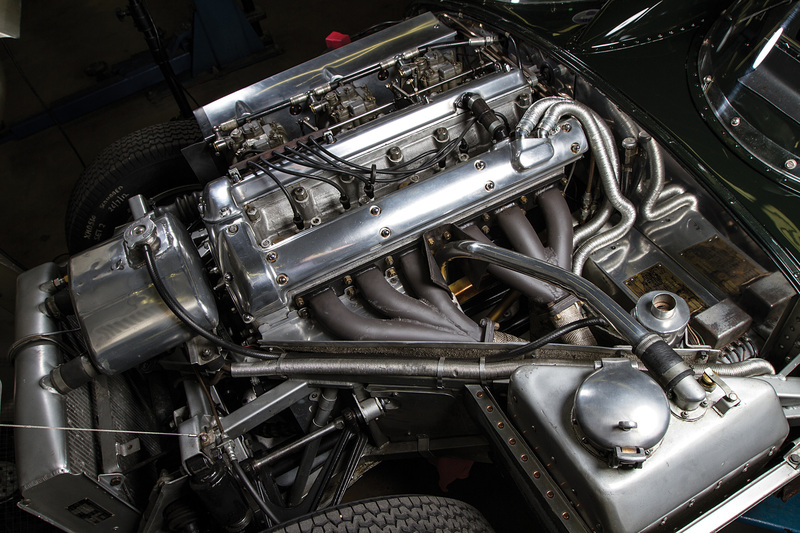 Naturally the more iconic E-Type raised in value by a couple more factors, but each was built with the same care and quality that Willam Lyons aspired. 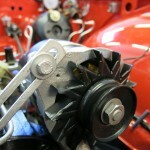 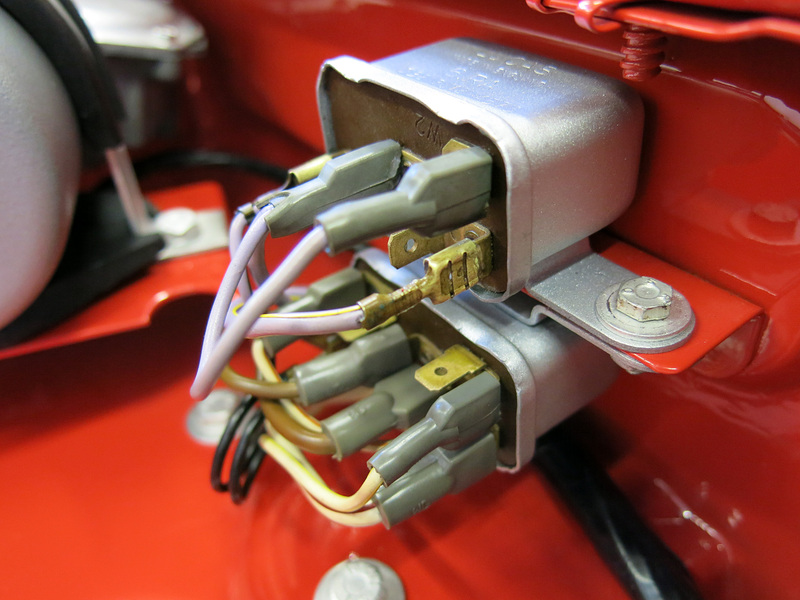 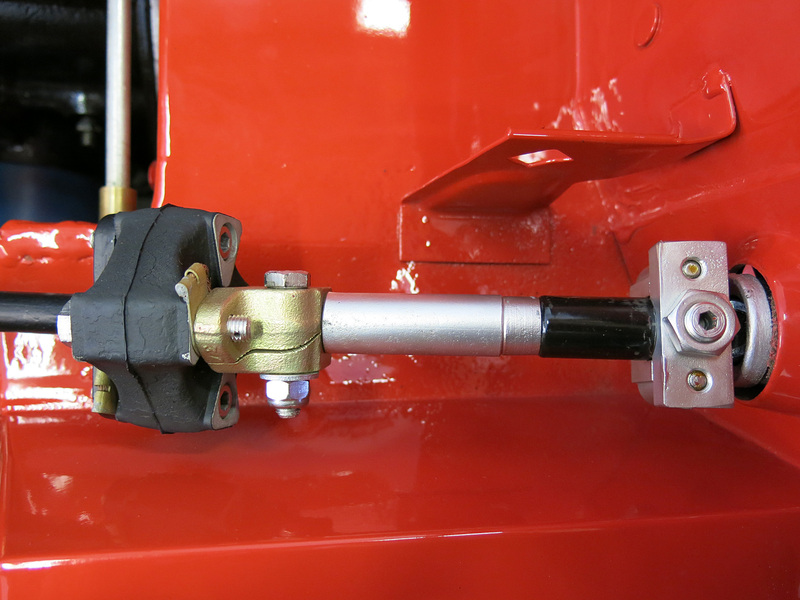 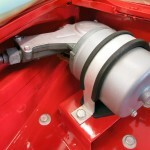 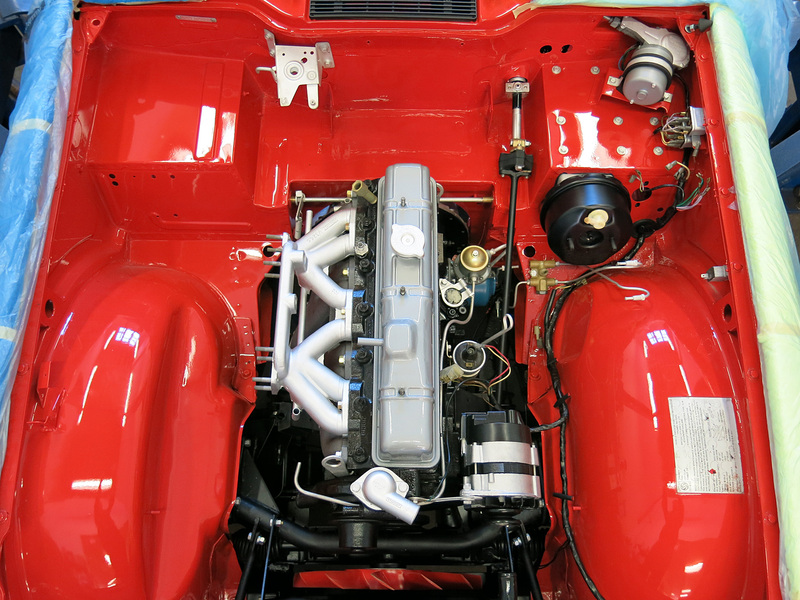 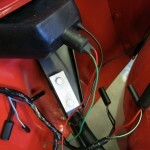 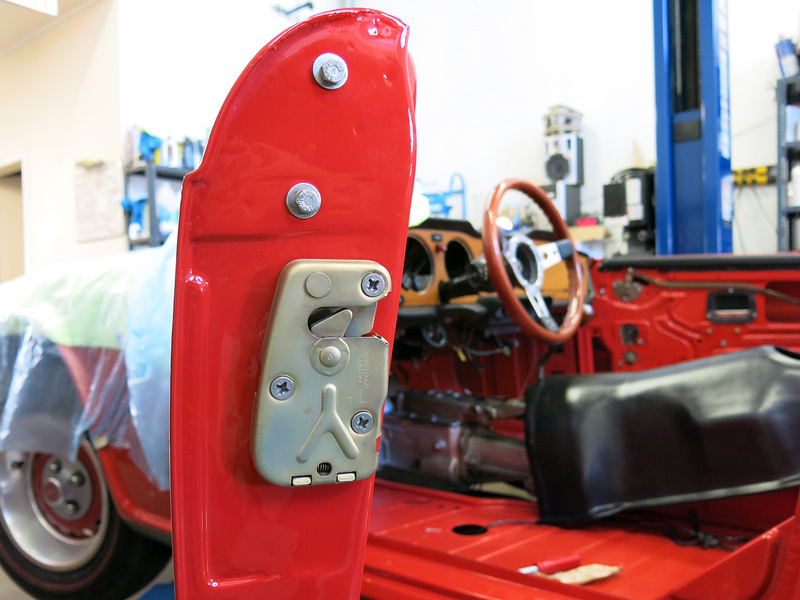 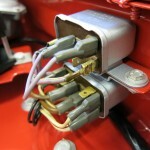 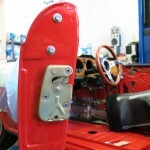 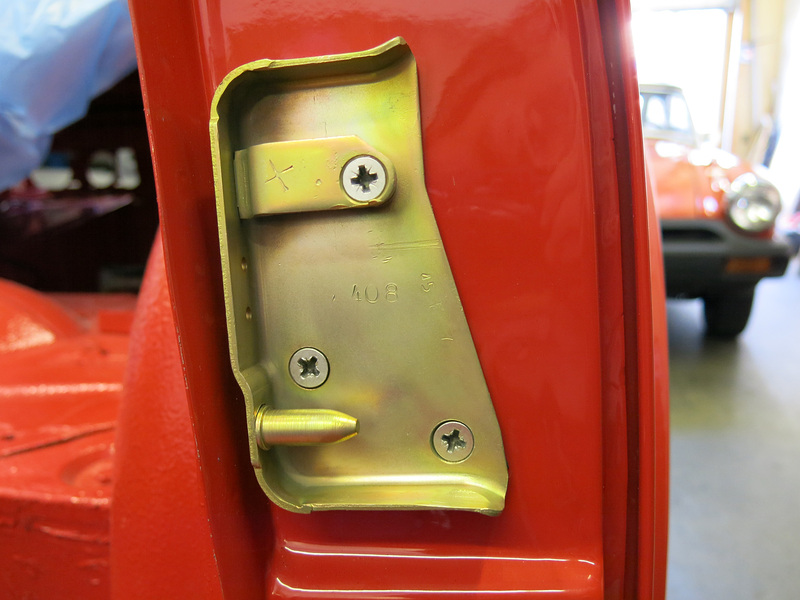 Another week and more good progress done on the 1973 TR3. 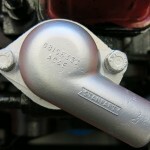 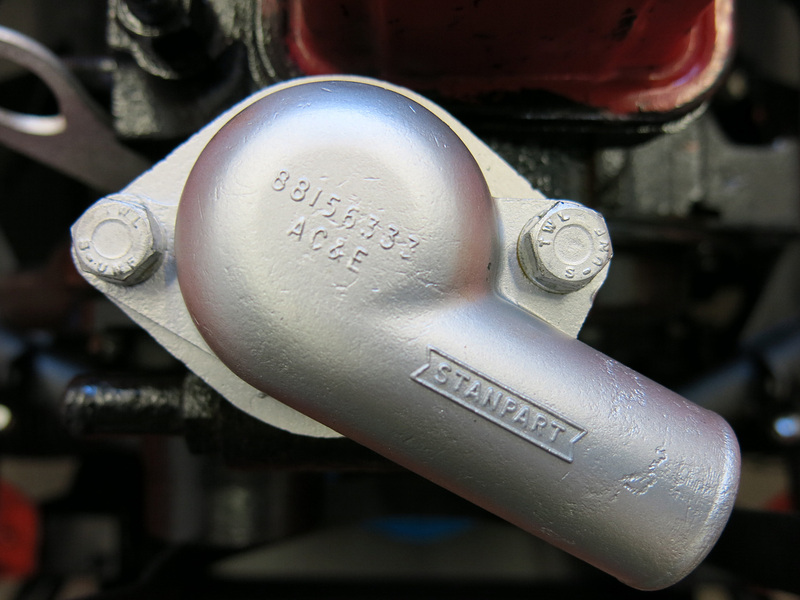 The engine is in with the intake manifold and thermostat housing painted with Würth Aluminium Spray Perfect Matt which has aluminum corrosion protection and nicely matches the silver CAD on brackets close by. 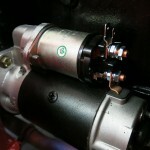 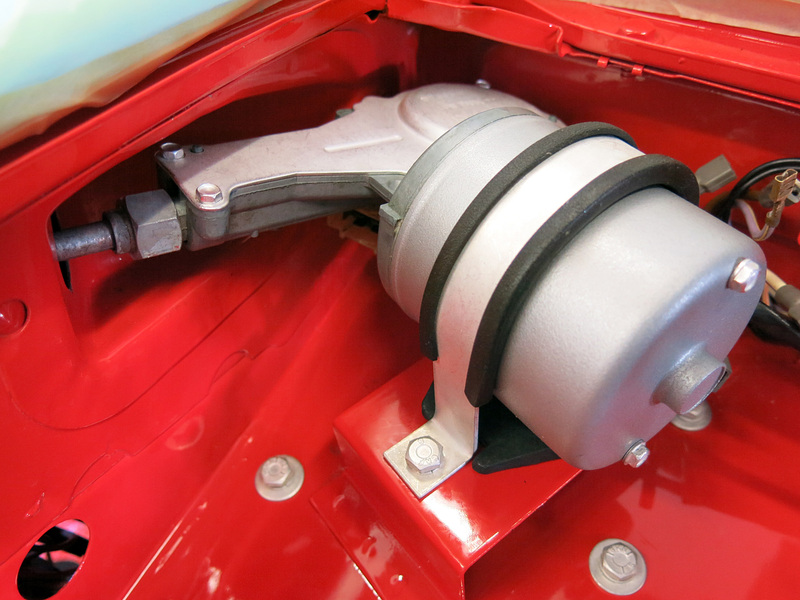 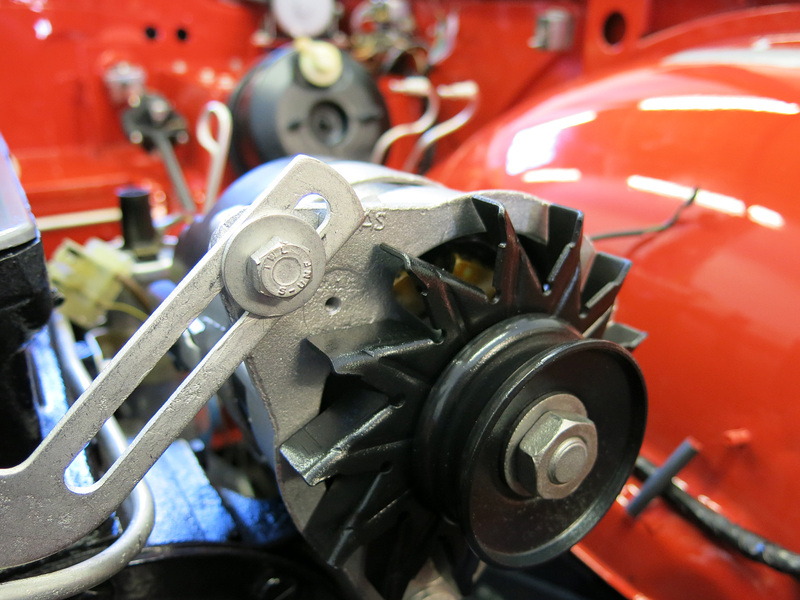 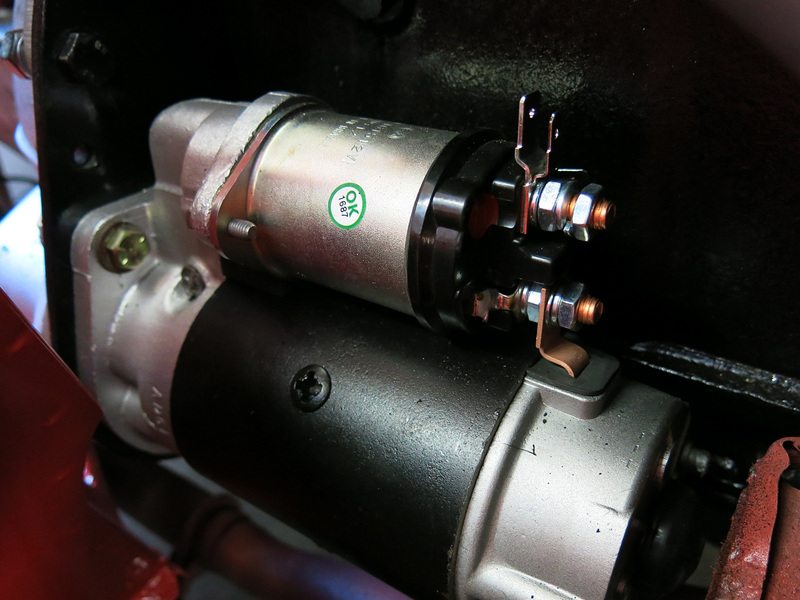 Both the starter and alternator were professionally restored by Brian Roberts Auto Electric who rebuilt and refinished the entire units. 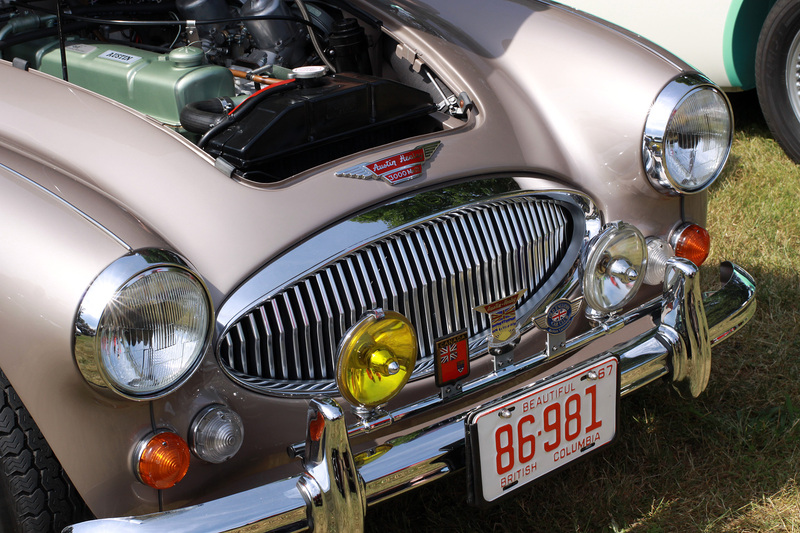 The original grill was put back in place which took considerable work. 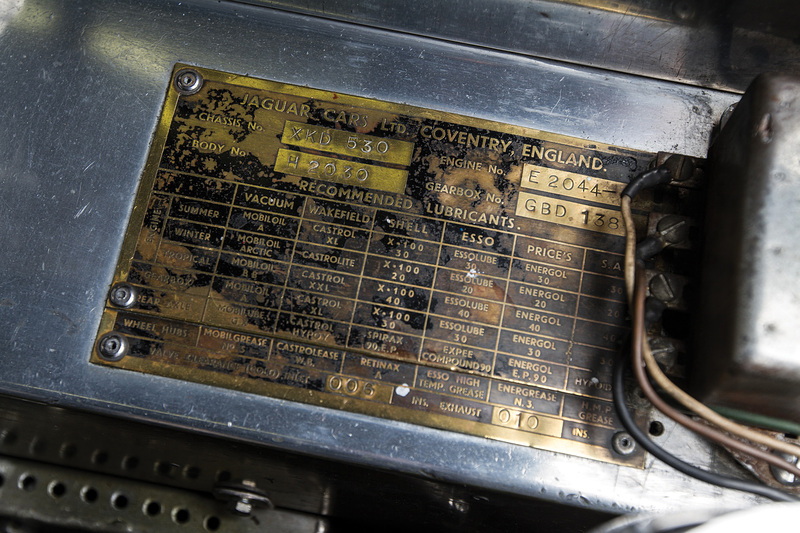 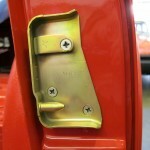 The original pieces were rubber-dipped and the surround piece inevitably corroded badly under the top surface. 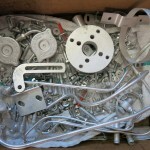 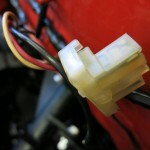 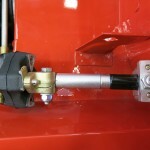 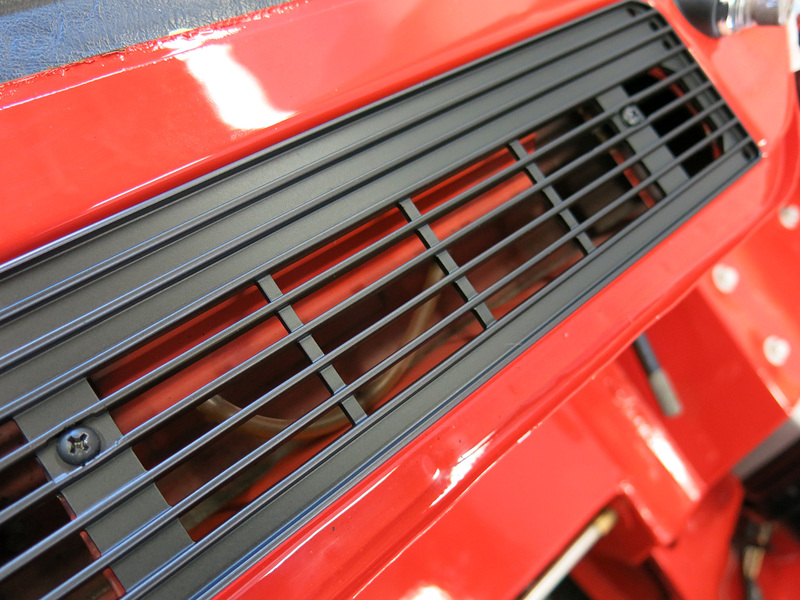 The only option was to manually remove the rubber and get all the pieces coated by Professional Components Ltd who are always enthusiastic about automotive jobs. 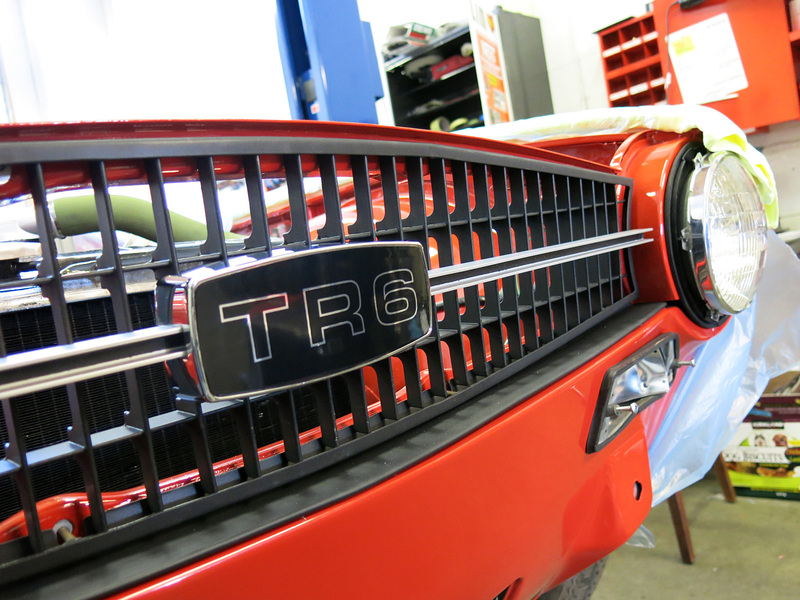 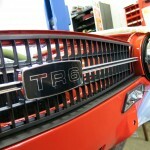 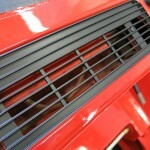 The result is a perfectly matching front grill that closely resembles the original finish. 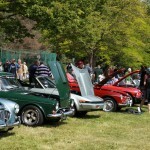 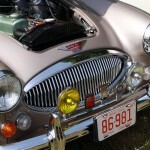 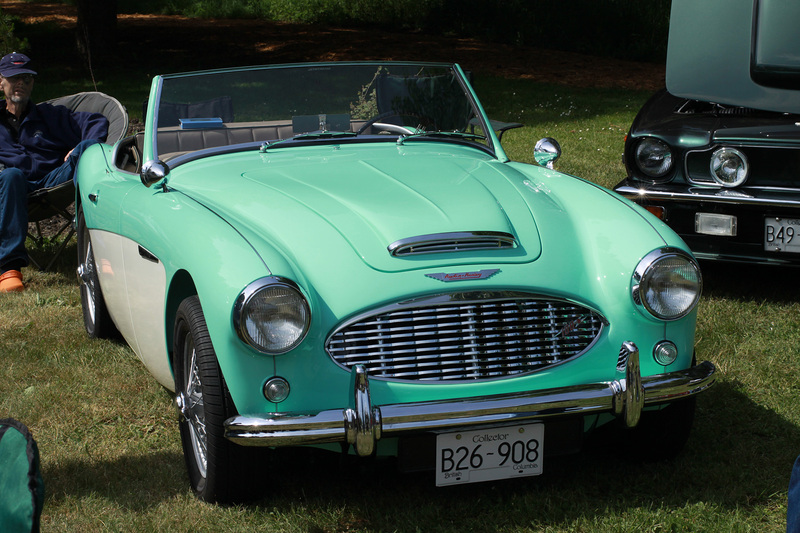 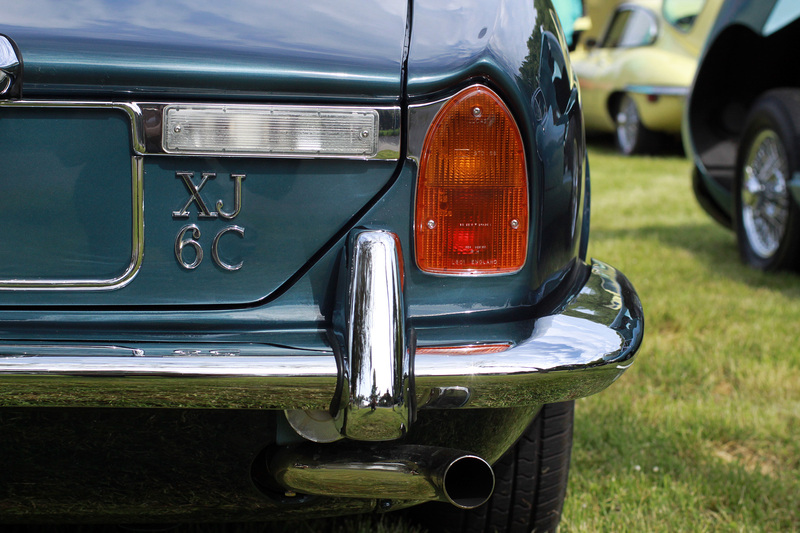 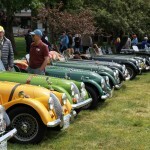 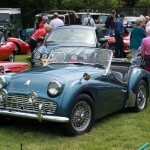 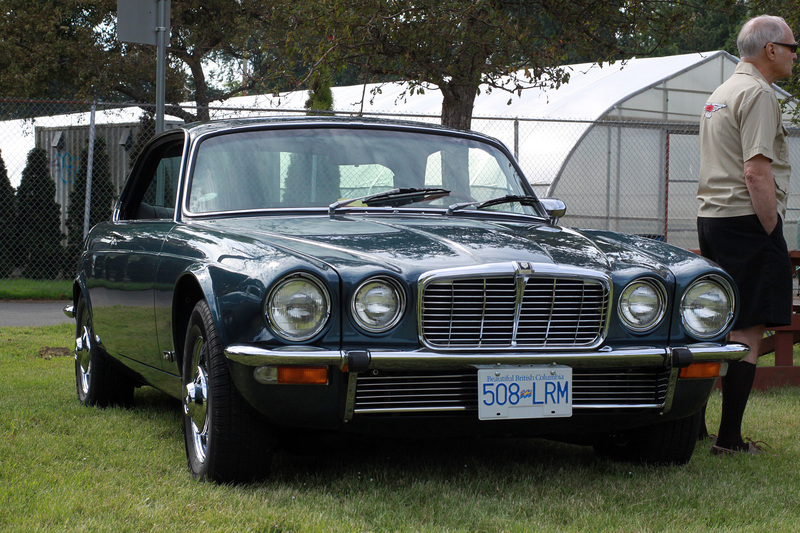 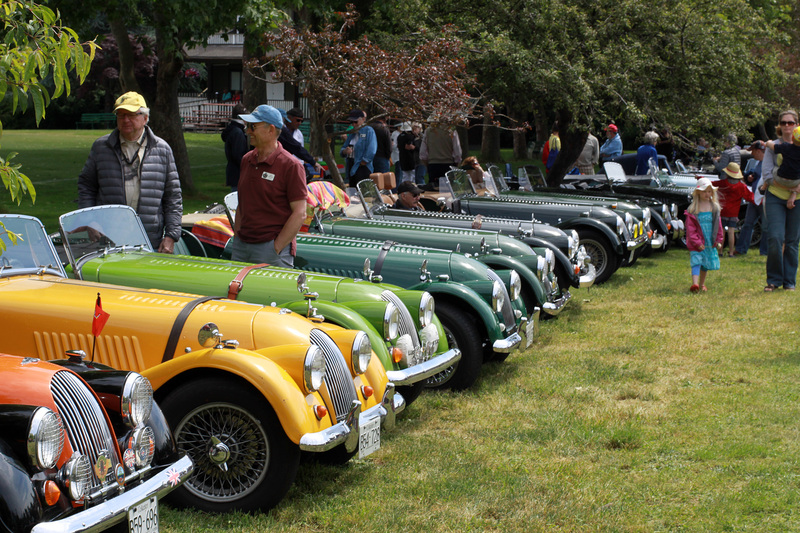 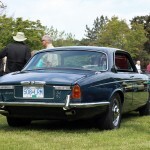 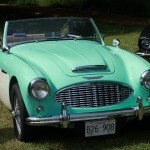 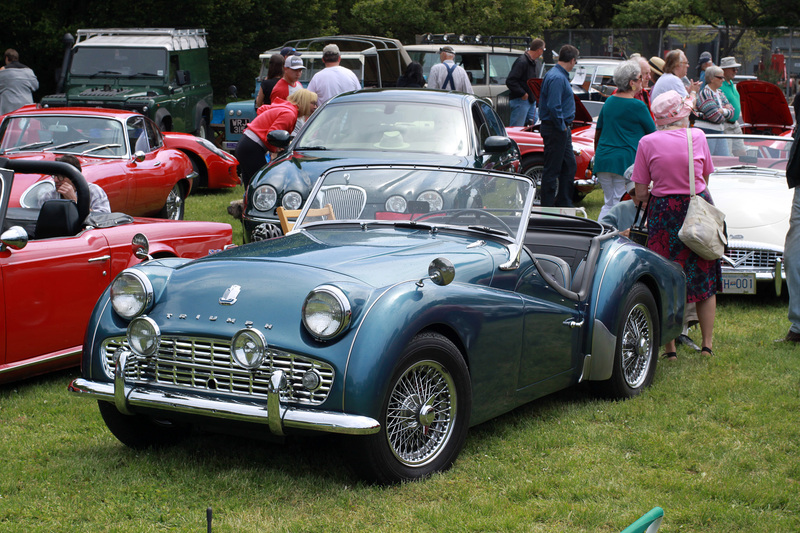 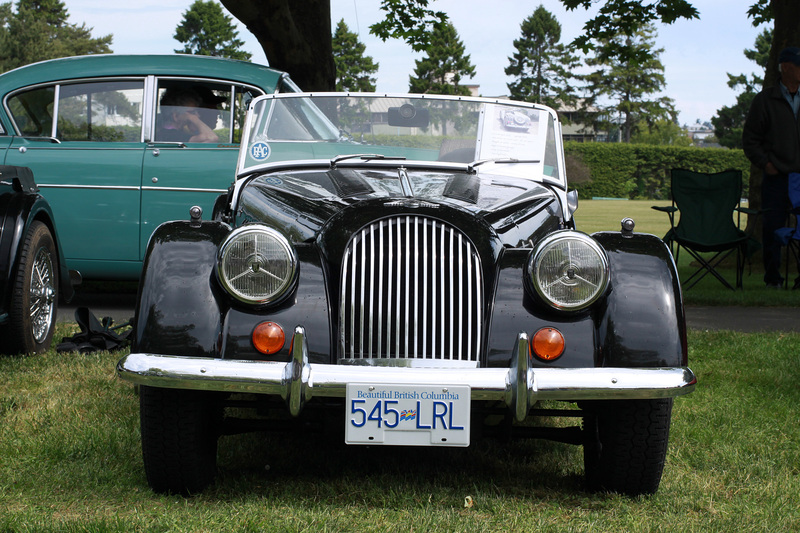 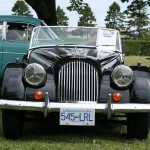 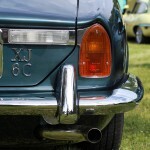 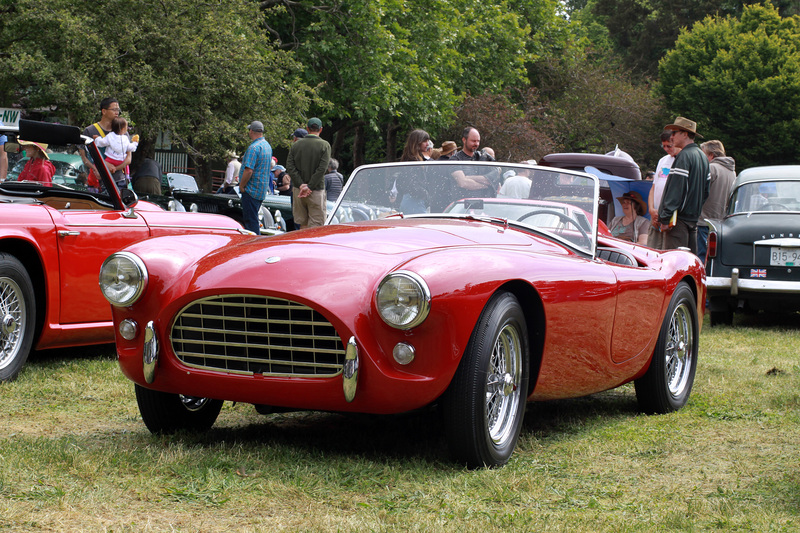 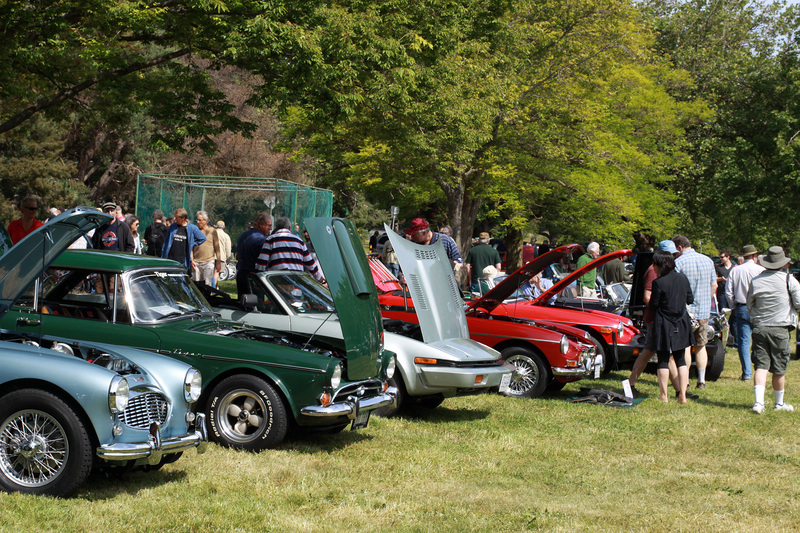 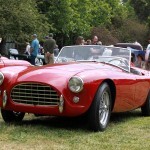 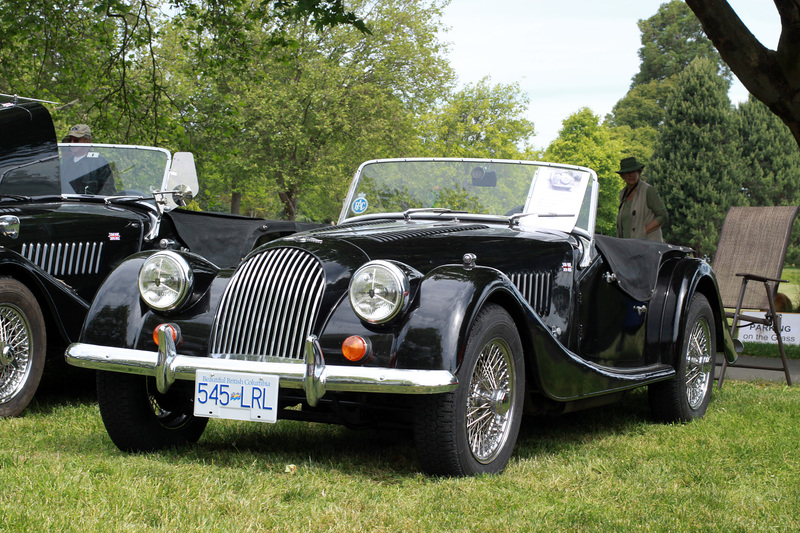 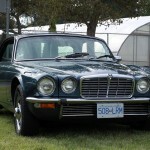 Today the 29th Annual Father’s Day All British Car and Motorcycle picnic was held Beacon Hill Park. 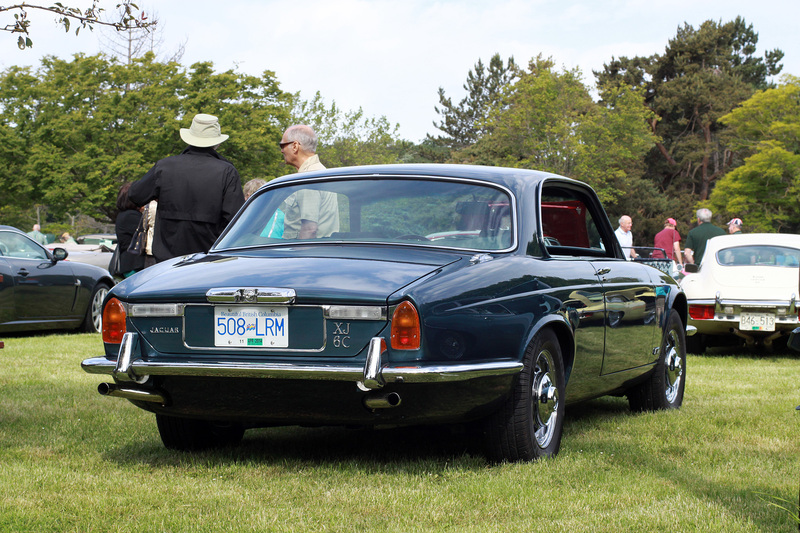 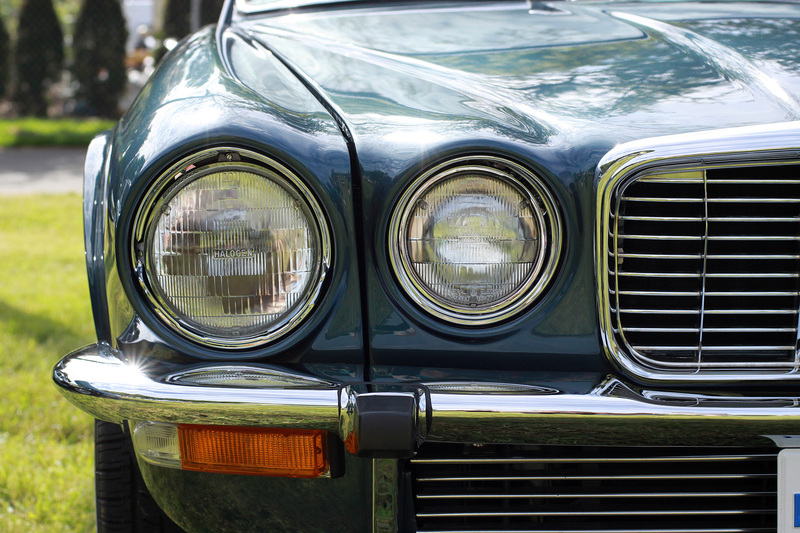 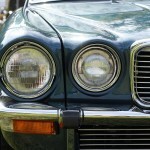 We had the privilege of debuting the 1976 Jaguar XJ6C Coupe which we completed in conjunction with Jetstream Custom Auto. 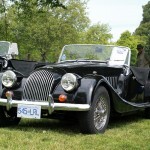 We also ran into a highly original 10,000 mile Morgan which was recently puchased by David Mass. 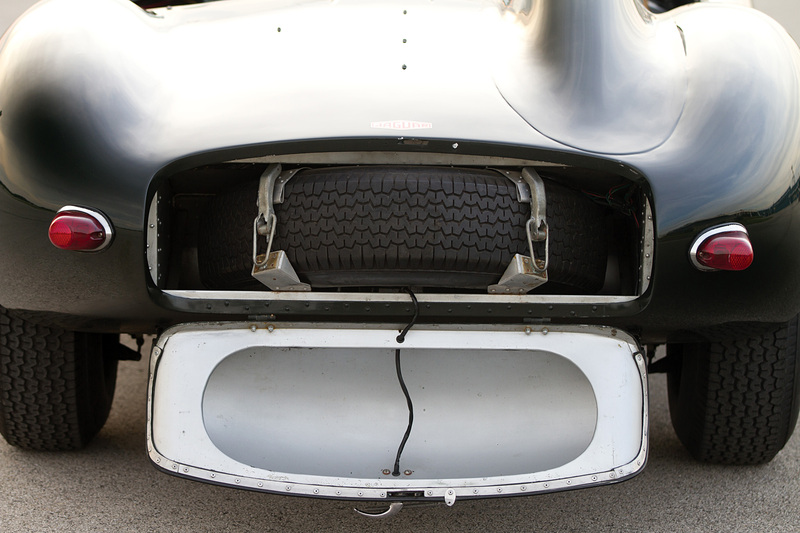 More to come from that one. 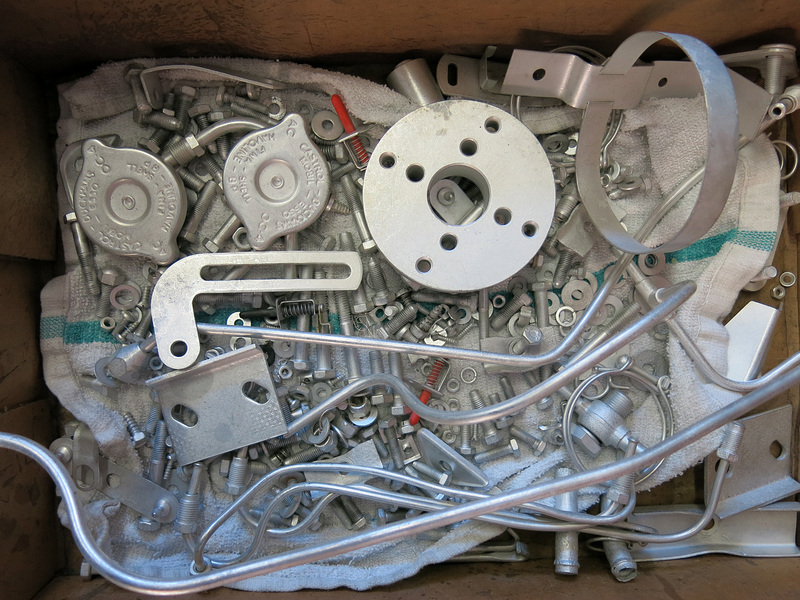 This week the first few pieces of the puzzle went together on our TR6 which always starts with our box of bits back from the platers in both gold and silver cadmium. 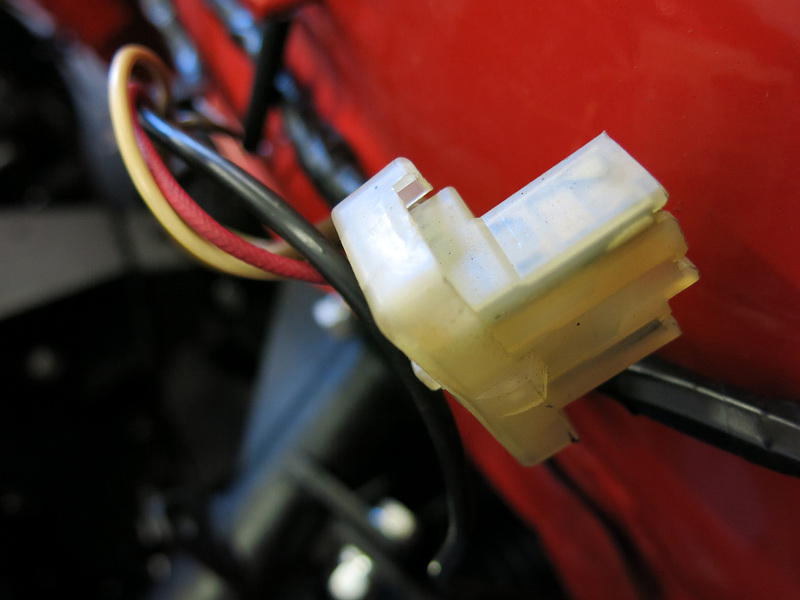 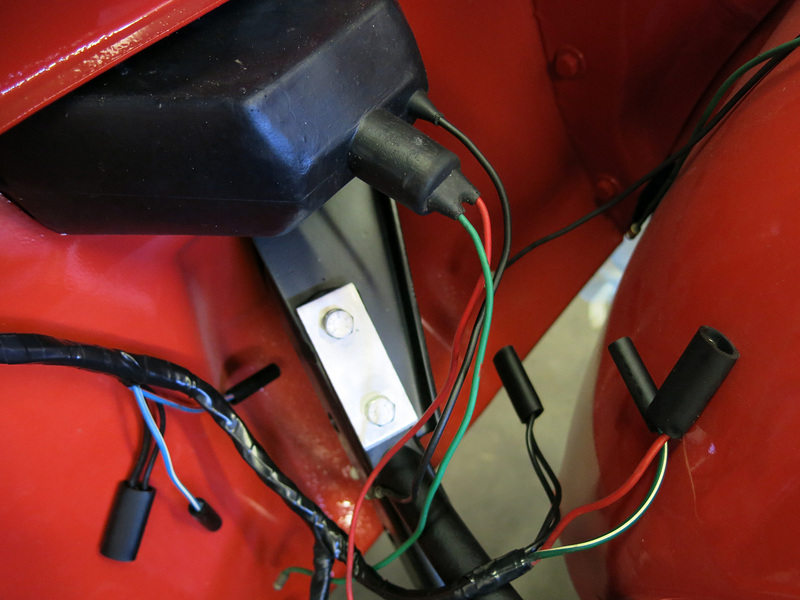 After completely cleaning the main wiring harness and replacing all the connectors, then cleaning the entire ventilation system out, assembly could begin. 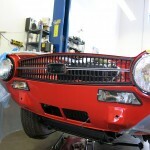 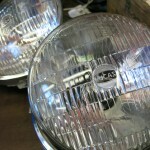 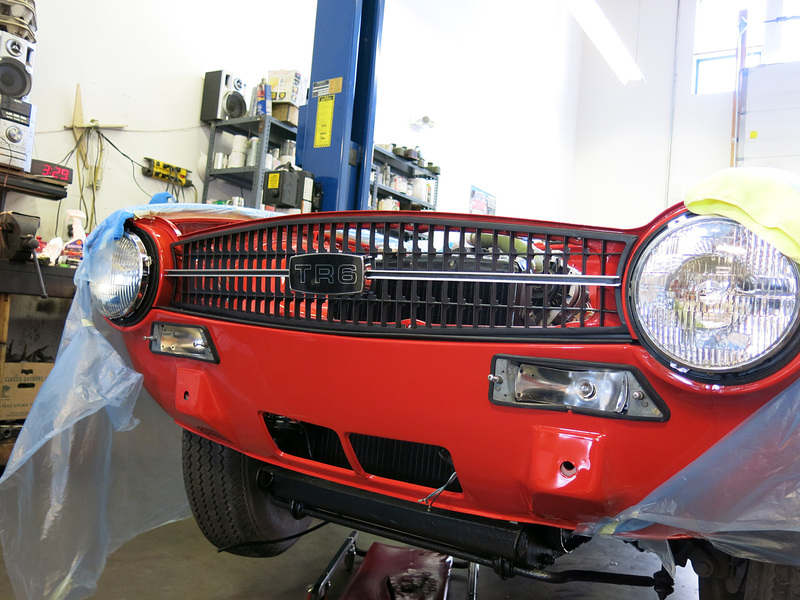 Luckily we were able to source two seal-beam Lucas/Mazda front headlights that are a perfect match for the vintage of the car from extraordinaire Paul Wakins of Bring a Trailer fame. 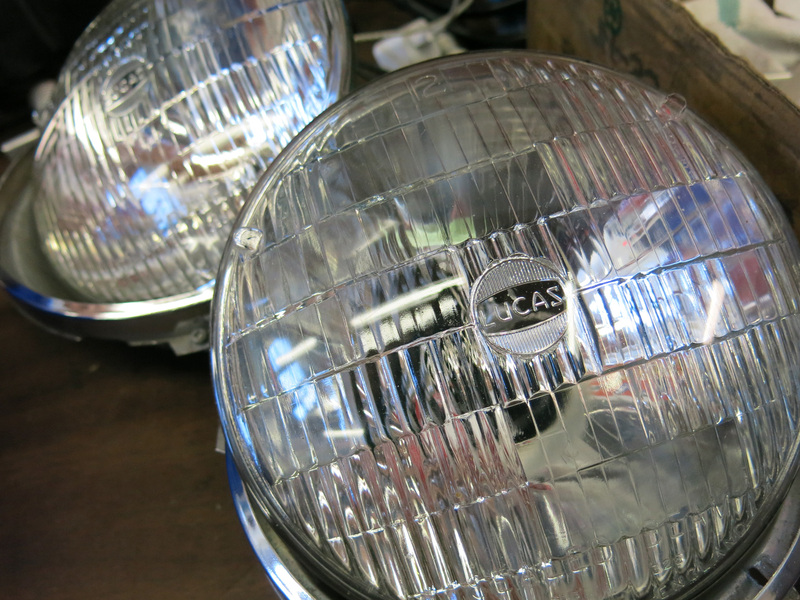 These bulbs are completely sealed, which has extended bulb life in favor of outright replacement when the filament breaks.